The above delivery times are not applicable to Bespoke orders or where amendment to artwork (eg: adding company logo) is being carried out. 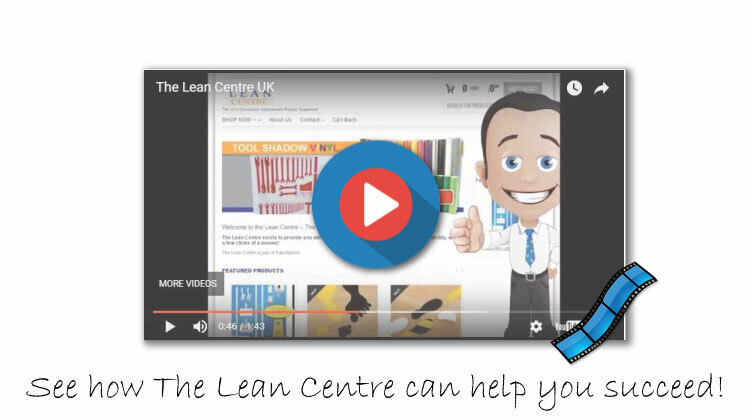 We think that you’ll be 100% satisfied with your purchases from The Lean Centre, however, if for any reason you’re not completely happy or have simply changed your mind, then we can arrange a return or replacement product within 30 days of delivery. We’ll provide you with a Return Authorisation Number, arrange to return your products (subject to our standard T&Cs) and discuss a replacement.